Study Hotels is continuing their expansion into prominent university markets with its third property, The Study at University of Chicago. The new hotel plans to open its doors to guests in the first quarter of 2021. Drawing on the liveliness of the Midway Plaisance and the scholarly energy on campus, this new location will be a welcome addition to the bustling Chicago cityscape. As with all Study Hotels, The Study at University of Chicago will be designed to encourage social interaction, reflection, and rejuvenation. "The views of Rockefeller Chapel and Lake Michigan, as well as the beauty of the campus, offer a rich canvas for our newest property. Through deep, meaningful connections with the University, we will create long-term value and deliver on our promise to become an integral part of the school's culture. We look forward to The Study at University of Chicago joining our family alongside The Study at Yale and The Study at University City," said Paul McGowan, President & Founder of Hospitality 3 and Study Hotels. renovated Keller Center, the expanded home for the Harris Public Policy school. With a seamless integration into the university experience, guests will be able to step onto campus the moment they exit the hotel. "The University of Chicago has been recognized for facilities that support the academic mission of the University and strengthen our important role within the city of Chicago," said David Fithian, Executive Vice President of the University of Chicago. "We chose to work with Study Hotels because of their track record in developing destinations that connect with the distinctive culture at each university. The hotel is intended to work in tandem with the Rubenstein Forum and a range of campus programs. 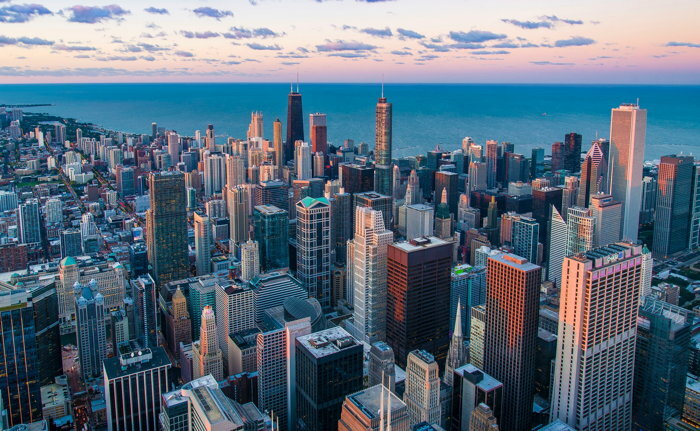 Its construction and operation will provide economic benefits for our neighboring communities as well as a vital amenity for Chicago's South Side." The 167-room hotel will feature deluxe accommodations, including the brand's signature Study units and Suites, an intimate tavern/restaurant, approximately 4,700 square feet of conference space, and a light-filled Winter Garden, ideal for social occasions and celebrations. Rooms will be equipped with all the amenities the modern traveler needs—whether he or she is a scholarly guest seeking the perfect leather reading chair, a visiting executive in need of an expansive work desk, or a prospective student looking for a view of the campus through floor-to-ceiling windows. All guests will enjoy the brand's attentive, individualized and generous service philosophy. The hotel's Living Room will be furnished with an eclectic mix of traditional and contemporary furniture with warm fabrics and classic accents. Daily periodicals and an abundant supply of books, featuring University of Chicago authors and scholars, will be readily available for a quick thumb-through or heady deep-dive.